Every year there are some excellent games that fall just a little short of reaching the podium for various awards, either finishing as a runner-up or barely missing the finals entirely. And there are others that aren’t even eligible for one reason or another, despite rating very highly among AG staff. With so many awesome games to choose from, it’s easy for these close-but-not-quites to fall through the cracks, and that would be a shame. 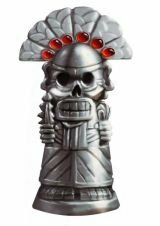 So while our Silver Aggies may not have precisely the same lustre of our golden statuettes, these bonus categories are another chance to acknowledge the best of the rest – impressive new releases, all, that are no less worthy of any adventure gamer’s attention. While 2016 marked VR’s coming-out party, 2017 brought us the first truly mature virtual reality originals. Games of all genres have been scrambling to find what does and doesn’t work in this new medium, and many have succeeded to varying degrees, but Lone Echo is one of the few so far to feel like it has all pieces. The way it handles interaction and locomotion is nothing short of a revelation. 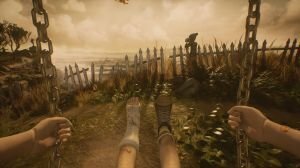 In allowing players to reach out and grab anything, and to use that to move through the world, developer Ready at Dawn have not only solved the problems of continuity and motion sickness in VR, but they’ve created the most tangible world in all of gaming. Add to this a surprisingly intimate story about two crew members, some truly lavish production values, and a vast open world to explore, and you have perhaps VR’s first truly essential title. 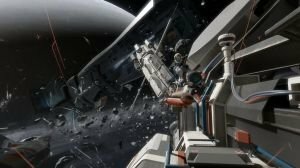 Virtual reality adventures may be a niche-within-a-niche, but no conversation about the year’s best titles would be complete without Lone Echo mentioned prominently. While it may seem odd to single out a particular culture for recognition, there’s no question that Japanese adventure games are something of an acquired taste. Though typically featuring familiar genre traits like mysteries to solve in unusual settings filled with casts of wonderfully colourful characters, when these elements are steeped in the over-the-top world of anime and manga from an Eastern mindset, some delightful, unforgettable, and occasionally bewildering experiences result. 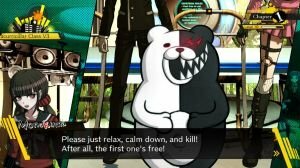 Take Danganronpa V3: Killing Harmony, the superlative third entry in a series renowned for its bizarre killing-game courtroom battles. While by no means breaking new ground, its roster of competing student protagonists (and villains) marks the high point of the franchise so far, complemented by a beautiful art style and musical score, enough twists and turns to keep players guessing until the very end, and gameplay packed so full of activities that you’ll still be going strong 30 hours in. It’s weird, it’s wild, it’s like nothing you’ll see from Western developers, and for that we are pleased to acknowledge it as the best in its class for 2017. 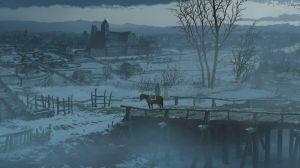 Daedalic's decision to adapt The Pillars of the Earth, Ken Follett's much-loved epic historical novel, into a three-part point-and-click adventure seemed to be an overly ambitious quest, but a remarkable first “Book” went a long way in allaying our fears. Filled with a visual sense of breathtaking wonder at the hand-painted medieval architecture of 12th century England, accompanied by an inspiringly beautiful original soundtrack from the FILMHarmonic Orchestra of Prague, and populated with an impressive number of superbly voiced characters, the debut installment offers an interactive experience of exceptional quality that lives up to the towering legacy of one of the truly great modern works of fiction. Although light on puzzling, it remains true to its source material and yet still manages to introduce elements of player choice that allow for genuine moments of uncertainty, always a difficult feat for adapted material. There is more of the story left to come, but there's no question that the first part of The Pillars of the Earth came as one of the most welcome surprises in 2017. Though it may have taken longer than first expected, what started way back in 2010 finally reached its rewarding conclusion in 2017 when Anders Gustafsson and Erik Zaring released their sixth and final chapter of The Dream Machine, closing the book on a momentous undertaking. There’s good reason it took so long, of course. What makes this series stand out from the rest is immediately apparent thanks to the indie Swedish studio’s unwavering commitment to hand-crafting each episode using clay, cardboard, and other raw materials, then meticulously filming it all with stop-motion animation. With a story delving themes of the subconscious mind, each chapter has taken on a wholly unique atmosphere, as protagonist Victor Neff visits the surreal dream worlds of his family and neighbours in an effort to save his wife and the other denizens of his apartment complex via traditional point-and-click adventurey goodness. With The Journey Down already receiving one of our main awards, offering a well-deserved Silver Aggie to The Dream Machine was a no-brainer as Best Episodic Farewell. If you’ve missed this impressive series so far, there’s no further excuse now that it’s complete! C’mon, like there was really any doubt? 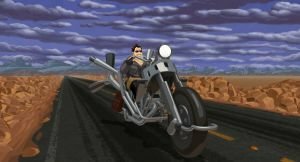 Tim Schafer’s Full Throttle first rode onto the scene back in 1995, telling a unique story about a gang of bikers who find themselves mixed up in a desolate world of grit, corruption and murder. Over two decades later, this cherished LucasArts classic returned, complete with an impressive audio-visual overhaul. Every single scene has been repainted, smoothing out previously jagged pixel edges and pushing away the image borders to offer glorious 4K support of those shadowy canyon roads and seedy bars. The already superb vocals by Roy Conrad, Mark Hamill and co. are now even crisper, and the background music was rerecorded by the legendary Peter McConnell. Add in concept art, developer’s commentary and the ability to switch between the original and new versions, and you’ve got the complete package. This is the kind of care and respect we expect from remakes of our beloved favourites of yesteryear, as Full Throttle Remastered easily outraced the year’s competition. It's easy to think of text adventures as things of the past, relics of gaming’s earliest days with mazes of twisty little passages (all alike), terse responses, and parsers that struggled to understand anything more complicated than "TAKE KEY". But for those who experienced them back in their heyday, they've never been forgotten and are still remembered fondly. That includes Bob Bates, of Infocom and Legend Entertainment fame, who returned to his roots this year with his latest tale of magic and mayhem and showed that he hasn’t lost his touch. Like a postcard from an alternate universe where Interactive Fiction continued to thrive commercially, Thaumistry: In Charm’s Way neatly showcases what can still be achieved, and does so with wit, eloquence, and even a social conscience. There's a detailed, vivid world to explore and tricky but fair puzzles built around a parser that's far more flexible than a graphical interface. Not to mention set pieces that would have taken millions to animate and more one-liners than you might have thought possible. It may not be an epic blockbuster to herald in a second Golden Age of text, but it most definitely is an endearing, challenging reminder of why it sometimes pays to take the road less travelled. 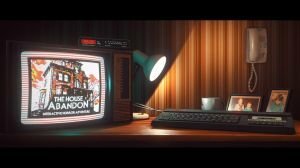 Unlike Thaumistry, No Code’s Stories Untold is anything but old-school, despite its hazy retro aesthetic. In fact, the game’s biggest trick is making you believe the blatant 1980s backdrop is purely superficial. Opening with a familiar-feeling text adventure displayed on a CRT screen, it’s easy to enter the experience anticipating just another cozy nostalgia trip. When this facade peels away, however, what lies beneath is a thrilling and compelling mystery that stands on its own ideas and merits. Billed as a “compilation tape” of four short chapters, each tale feels unique and brings something new to discover, before ultimately combining to form a cohesive, wonderfully surprising whole. The actual text experience may be fairly rudimentary, but Stories Untold manages to flicker and beep in all the right ways to evoke fond memories of yesteryear, while at the same time feeling modern, thought provoking and very, very clever. Perhaps because of its innocuous-sounding title, or maybe because gamers just don’t know what to make of side-scrolling adventures, Red Candle’s Detention was one of the best hidden gems of 2017. 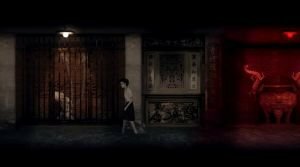 With its unique political backdrop of 1960s Taiwan (during the turbulent period known as the “White Terror”), this psychological thriller presents an atmospheric horror story that feels like a dark fever dream with heavy elements of Eastern mysticism. Skillfully blending haunting visuals and sounds with a deeply layered narrative and some clever puzzles, the result is an immensely compelling adventure in the vein of another cult favourite, The Cat Lady. Though it may not have generated the hype of other games upon release, don’t let it escape your attention for good, as it’s an incredible slice of deep horror that belongs near the top of every genre fan’s must-play list. While death, eternal judgment, heaven and hell might seem like sombre topics for an adventure, Joe Richardson’s Four Last Things succeeds marvelously at bringing the laughs throughout his Monty Python-esque indie masterpiece. The witty, well-written script pokes fun at religious bureaucracy and moralism while sending players on a madcap sinning spree around a medieval European town in hopes of finding forgiveness at the end of their journey. The acerbic humor and collection of memorable Seven Deadly Sins-themed puzzles combine for gameplay that’s both logical and absurd in equal measure. 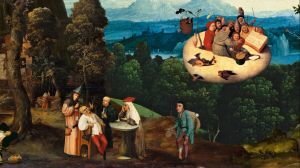 Holding it all together is a distinctive collage-based art style, in which elements of Renaissance era paintings are mixed, matched, and animated to create a visual cornucopia of unusual scenes and characters. It may have been largely overlooked among the year’s higher-profile releases, but Four Last Things stands out as one of the year’s best point-and-click surprises. Is there such a thing as a family curse? One destined to visit tragedy upon one generation after another until none finally remain? This question is at the crux of Giant Sparrow’s poignant but always utterly engaging What Remains of Edith Finch. It’s a memorable journey through the eponymous protagonist’s secluded childhood home, in which each room serves as the backdrop for a separate tale of Edith’s many relatives. You’re not just looking through journals and possessions left behind to piece together their histories. Instead, such items transport you directly into their (former) owners’ fateful experiences, drawing you into each person’s story as seen from their personal points of view. These diverse vignettes range from assuming the form of different animals to a spine-tingling thriller told through the panels of a retro-styled comic book. 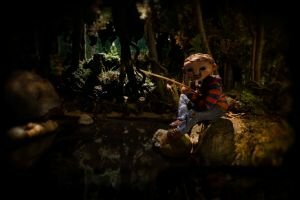 You’ll be stunned that simply playing on a swing set, flying a kite, or even taking a playful bath with rubber toys can tempt the will of the fates in this grievously unfortunate family. The best episodes meld gorgeous and surreal imagery with moving stories of love and loss. A lack of puzzles puts it squarely in the realm of pure interactive storytelling, but this accursed family history is told in such an imaginative and beautiful way that any genre fan will want to explore it, and it’s guaranteed to stick with you long after the game has ended. It may not be an “adventure game” by strict definition, but it’s absolutely Aggie-worthy and not to be missed. Next up: Best Non-Traditional Adventure... the envelope, please!